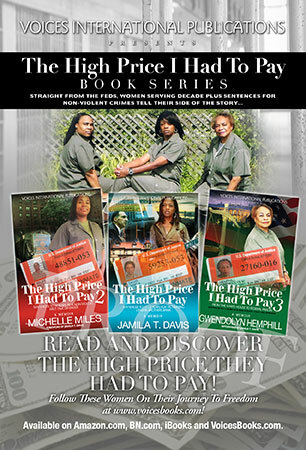 Female Federal Inmates Jamila T. Davis, Michelle Miles and Gwendolyn Hemphill Serving Decade Plus Sentences For Non-Violent Crimes Are Not Laughing; They Release The Third Book in "The High Price I Had To Pay" Book Series. There is no question about the overwhelming interest around the hit television show "Orange Is The New Black." Emmy awards and top ratings confirm that viewers worldwide are mesmerized by the story lines of the lead characters in the show, written based on Piper Kerman's 13 month stay at the Danbury Federal Prison Camp, located in Danbury, Connecticut, back in 2006. Although this captivating and humorous show has sparked worldwide interest about females behind bars, the real lives of the women whom the characters depict and the injustices they face in the U.S. judicial system are no laughing matter! For close to two decades, Michelle Miles, federal prisoner #488501-053 has called the Danbury Federal Prison her home. Day in and day out, for the last 17 years she has followed the same mundane routine working as a skilled shipping and inventory clerk at UNICOR, a government work program where inmates prepare parts for the U.S. military. After completing three apprenticeship programs and almost every program the prison has to offer, there isn't much left to do accept wait for her release which isn't scheduled until November, 2023. Last fall after receiving news that the Federal Correctional Institution (FCI), the secured gated facility at the prison which houses prisoners with high custody levels, was being converted back to a men's facility, Miles was reclassified and sent to the Danbury Federal Prison Camp. The facility, located less than 10 miles from Newtown, Connecticut, is famous for housing the celebrities Leona Helmsley, Lauryn Hill and Piper Kerman, author of "Orange Is The New Black." Relieved to exit the stringent confines of the FCI, Miles warmly embraced her new found freedom at the minimum security camp located on the same property, which she now calls her home. With the new change of environment, her life took a sudden twist when she met fellow prison mate, Jamila T. Davis, a former Multimillionaire, Celebrity Advisor. Amazed by Miles' story, her war-hero-like courage, and her tenacity to overcome adversity, Davis collaborated with Miles to help tell her story. Miles grew up in the Marcy Housing Projects in Brooklyn, New York during the same years as rap icon Shawn "Jay-Z" Carter, who is a former family friend. At the age of 21, lured by her boyfriend, Miles tried her hand in the drug game as a means to escape poverty. Little did she know her participation would gain her a 30 year sentence behind bars, as a first time non-violent offender. 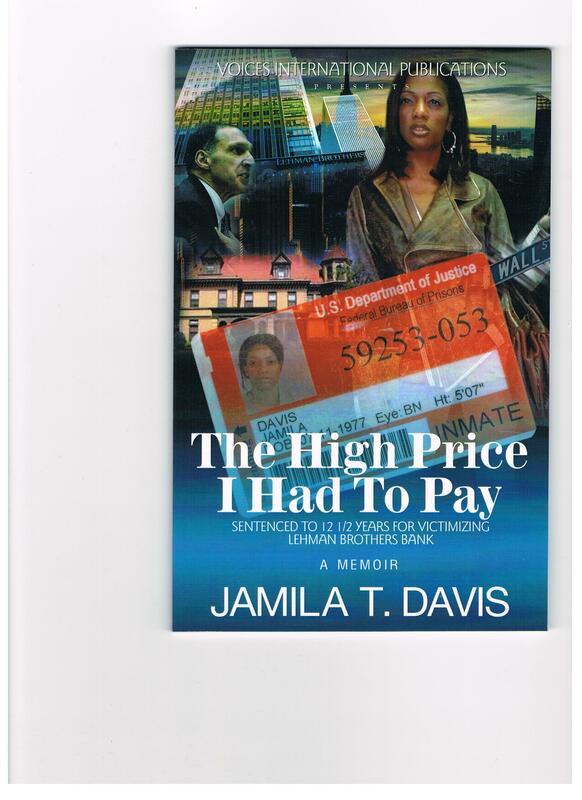 ( see U.S. v. Miles CR-97-998 (RJD) (Eastern District of New York)) With the help of Davis's outside contacts, Miles published her book "The High Price I Had To Pay, Volume 2," hoping it would help her regain her freedom, as well as help other youth avoid her tragic mistakes. "In federal prisons across this country there are many of us who are serving decade plus sentences for non-violent crimes. It's not my claim that we are all innocent and don't deserve some form of punishment, but often times we are severely over-sentenced. Not even murderers or other violent criminals are serving as much time as many of us have been sentenced to," states Jamila T. Davis, who is serving a 12 1/2 year sentence for bank fraud. From behind bars, with the help of fellow inmates, Davis became familiar with the law. She successfully filed a motion with the New Jersey Ethics Board's Fee Arbitration Committee, and won a $44,000 judgment against her attorney John Jay Fahy, a prominent former Bergen County Prosecutor and CNN news analyst. (See Davis v. Fahy, Esq. - Docket # IIB-11-051F, Supreme Court of N.J. (Office Of Attorney Ethics)) Last July, just 3 days before his law license was scheduled for suspension for nonpayment of Davis's judgment, he shot and killed himself on Route 17, one of the busiest highways in Northern, New Jersey. (See The Record Newspaper, Hackensack, N.J. "Letter May Hold Key To Former Prosecutor Fahy's Suicide," 07/27/2013 (See http://www.northjersey.com/news/letter-may-hold-key-to-former-prosecutor-jay-fahy-s-suicide-1.642622) To date, Davis has still not been able to retain another attorney. "I've experienced some extremely low points in prison. I was shocked by the lack of integrity of key players within the legal system that are supposed to represent justice, not only for myself but also for many of the women housed with me. I realized alone I was a "small fry" who was not strong enough to level the scales of justice. But by joining forces with the women around me, who have also suffered severe injustices, I figured we would have a better chance for our voices to be heard. That's how the WomenOverIncarcerated.org prison reform movement began." "With the help of family members and friends a group of us decided to show our faces and tell our stories, creating the 2014 WomenOverIncarcerated.org Calendar (See http://www.womenoverincarcerated.org). At the time, I had already created a short memoir about the injustices in my own case entitled 'The High Price I Had To Pay.' Michelle Miles agreed to tell her story behind mine, which became 'Volume 2.' Then, Mrs. Gwendolyn Hemphill, one of the oldest and most respected inmates at our prison, decided to join us. After that it sparked a chain reaction; women of all backgrounds, ages and ethnicities became interested in telling their stories too." The latest book in "The High Price I Had To Pay" Book Series is Volume 3. It is the story of Gwendolyn Hemphill, a 73 year old, African American woman who is serving an 11 year sentence as a first time non-violent offender. (See U.S. v. Hemphill 03-cr-516-RJL (District of Columbia)). Rising from humble beginnings in the rural town of Johnstown, Pennsylvania, Hemphill worked relentlessly to overcome barriers of poverty and racism. Known for her savvy wit and creative political strategies, she successfully advocated for unions and political groups, including the legendary SNCC, during the era of the civil rights movement. Climbing to the top of the political ladder, as a rising star, Hemphill made her way up to the White House under the Carter Administration. For decades she vigorously served as a White House liaison that provided substantial contributions to her community, making waves in the world of Washington D.C. politics. 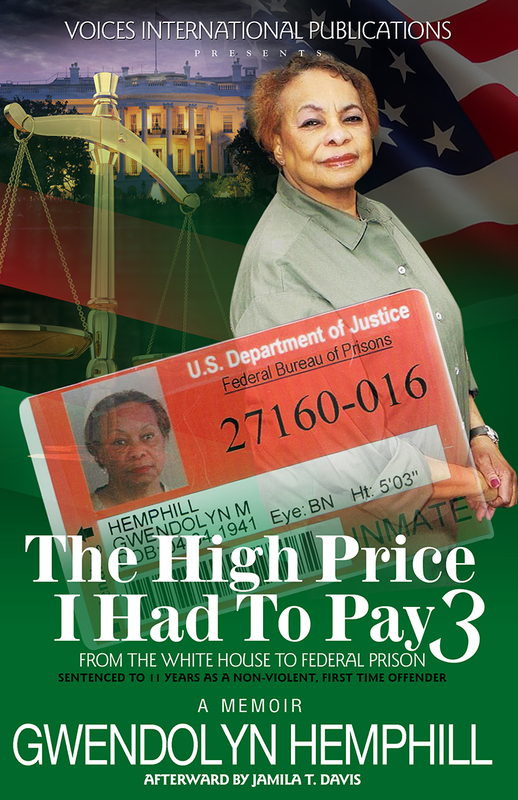 Despite her accomplishments and a stellar career, one bad decision landed Hemphill a decade plus sentence in federal prison, as a first time, non-violent offender. "The High Price I Had To Pay" Book Series gives readers a glimpse inside the lives of female offenders who are serving lengthy sentences behind bars for non-violent crimes. Although their life experiences read like a script to a riveting hit television show, their stories are real and the time they have been sentenced to is no laughing matter! These audacious prisoners have joined together with hope that their voices will be heard and prison reform will finally be initiated to eliminate discrimination in the U.S. judicial system, which even U.S. Attorney General Eric Holder has referred to as "broken." They are women who admit they made mistakes, and have paid a significantly high price for the consequences. Today they are prisoners with limited rights and resources, yet they each hold firm to their faith and their write to freedom! 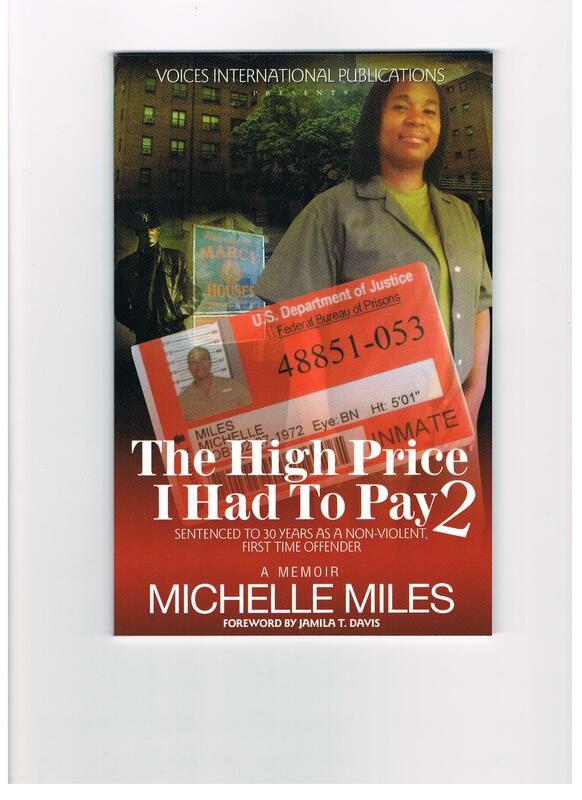 "The High Price I Had To Pay" Book Series is now available at Voices International Publications, 196-03 Linden Blvd, St. Albans, NY 11412, http://www.voicesbooks.com. Also available on BN.com and Amazon.com. 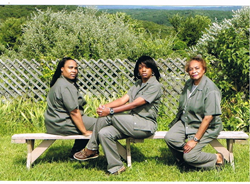 To follow these women on their journey to freedom and to support the WomenOverIncarcerated.org prison reform movement, please visit http://www.womenoverincarcerated.org.